After all the “excitement” of the previous evening, my second day of my walking weekend in the Ardennes started out well, with a copious and tasty breakfast at B&B Les Gabelous, after which Ben, my host, gave me a lift into Nismes to pick up my abandoned car. 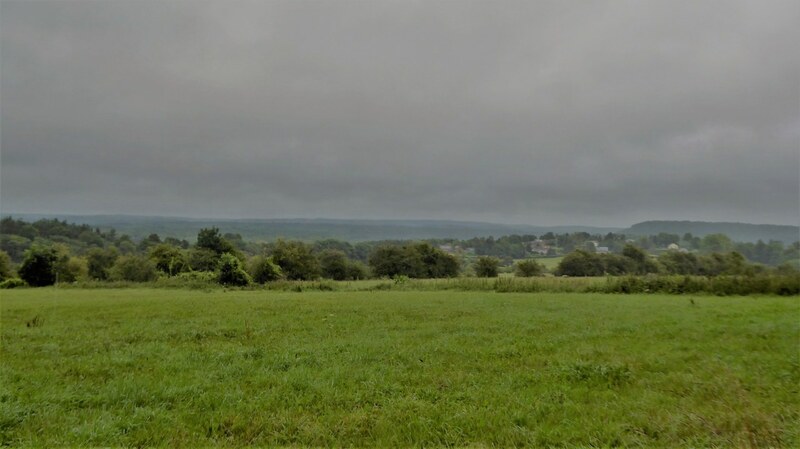 Knowing I had an early start and a full day ahead of me, I had already selected an interesting 30 km walk starting from the village of Virelles near Chimay, circling the Lake of Virelles, going into Bois Robert, and dropping into the village of Lompret. Rain, and the forecast of more! As I drove to my starting point, the rain gradually increased in intensity from a light drizzle to a steady downpour. I parked and switched off the windscreen wipers, and soon I couldn’t see anything out of the window. What to do? I wasn’t sure I really fancied walking 30 km in this weather. But what were the alternatives? Shopping? No way. For me, the ideal shopping experience is choosing something online and having it delivered to the house. Museums? I’m not a lover of museums. There’s something about the air in museums combined with long and boring descriptions of whatever is on display that sends me to sleep on the third exhibit. Internet café? I’m here to get away from the computer, not spend a day on it. No, there was no alternative! So I got my waterproofs out and put them on in the car, which meant doing more gymnastics in ten minutes than I’ve done in my whole life. I zipped and buttoned everything up that could possibly be zipped and buttoned up, and stepped out of the car. Within seconds, the thought of a nice warm internet café or a museum shop suddenly seemed extremely attractive. But, knowing that my Discovering Belgium readers would think I was a real coward for chickening out, I set off. If you’ve come here expecting some beautiful photos of the Virelles landscape, you’re going to be disappointed. Generally I kept my camera hidden away in a dry pocket, but I did get it out a few times to give you a sense of the joy I was experiencing. And here’s one to prove that I was really out there and not making it all up! However, I did see something spectacular! While deep in Bois Robert, I came across a clearing in the forest where the grass looked like it had been churned up by a tractor and plough. Going closer, I could see little piggy footprints and little piggy snout marks. I have never seen wild boar, although I know they are found in the forests of the Ardennes. I also know that during the day they generally hide up in the undergrowth and avoid people. However, I wondered, on a day like today, when the whole of Bois Forest is totally human-free (apart from idiot me), would they feel it was safe to come out and have a little forage? In the photo you can probably make out a bench. As it was lunchtime I sat down on it and quietly ate my packed (and very quickly soggy) lunch, while keeping an eye open for any boar who could have been attracted by the smell of my cheese and tomato sandwiches. 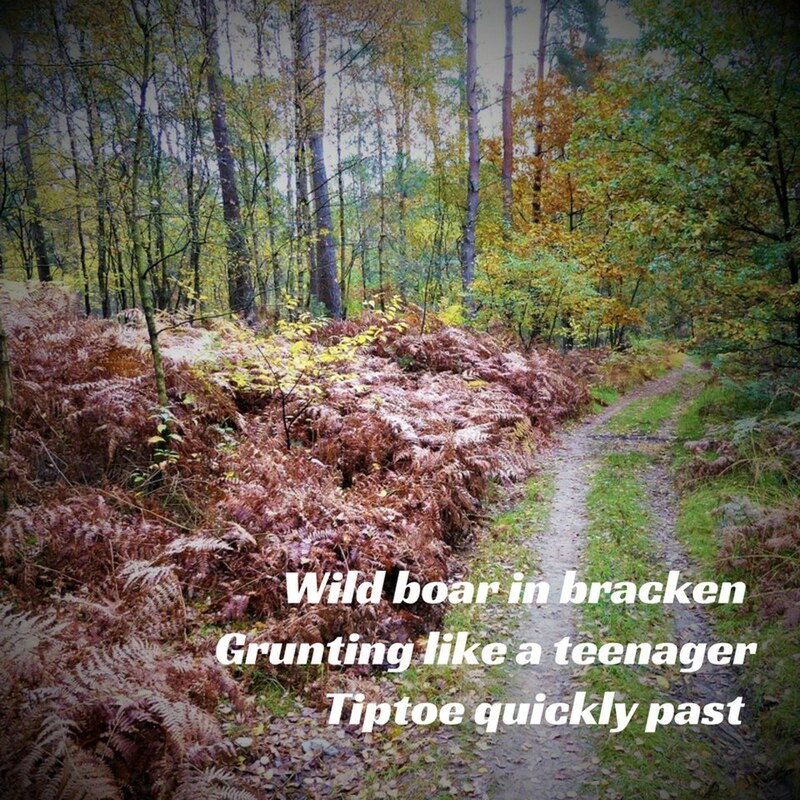 No such luck, but about half an hour later, to my immense surprise and pleasure, an adult wild boar and two juveniles suddenly appeared from the bracken to my left. The adult saw me, gave a grunt and disappeared back into the bracken, quickly followed by the two little boarlets. I edged along the path, stopped where they had disappeared, and stared into the thick bracken, camera at the ready. From the depths of the undergrowth, a very loud and low grunt resounded! (a) Wild boar are generally harmless unless they feel their young are threatened, when they can charge. Yikes! (b) I had just seen an adult with two young. Double yikes! (c) I was very alone in the middle of a deserted forest, and the only thing between me and a potentially charging wild boar was a Panasonic compact camera. For the rest of the day, the rain continued to fall, the sun never appeared once, and I ended up cutting a few kms off my route. But the sight of those three wild boar made it a day I would never forget. Some of you might be looking at this and thinking that your garden shed is bigger. It probably is. This was the eco-cabin that I had booked for the night. It has electricity, but no WiFi. It has a dry toilet. It has no running cold or hot water, but a tap a few meters away for drinking water. It has no sink or washbasin, but around the back is a “shower” which involves filling up a watering can from the (cold) tap, standing on a step, and lodging the watering can on a frame above your head, from whence the water apparently trickles down to give you a shower. (Having spent all day getting wet, this contraption didn’t really appeal to me). Why had I chosen this overnight accommodation? I wanted to see the stars! I wanted to be out in the countryside, far from city and streetlights for once, and gaze up at the myriads of stars on a clear summer’s night! Unfortunately … yes, you’ve guessed right. Although the rain stopped, the clouds remained. There was not a single star to be seen. The hostess Michele who runs the farm on which the cabin stands, was very friendly and hospitable, providing a warm evening meal, with the promise of a breakfast and packed lunch for the morrow, which surely can’t be as wet as today. Can it? This is the original route on RouteYou that I used (thanks to Roadhunter), but as I say, I didn’t complete it all, but shortened it by about 5 km. Right you were to take some time to write such an amusing article, Denzil. I found your haiku exhilirating and so much adapted to the circumstances as were your lessons learned about wild boar 😀 I also like the way you use titles in your writing, like a cliffhanger in a movie 🙂 Regards! Thank you Guido. You are too kind. Have you seen wild boar on your walks? Bless you, Denzil! Nobody could accuse you of wimping out 🙂 🙂 I was going to suggest ham and tomato sandwiches might have been more appealing to a boar but when I think about it that really doesn’t hold water! A little too close to home. Shall I pinch this one for Monday? I’m sure folks would like to see how dedicated you are on their behalf. Ha, my sandwiches really did hold water! Yes, please do pinch it Jo, that would be great, thanks a lot. The shower sounds like fun. I am not even a fan of regular showers! If it had been a hot dry day I would definitely have tried it out Andrew, but I was more concerned about drying off than getting re-wet. At first glance, I thought the heading said, “Wild Bear!” and I panicked for you! 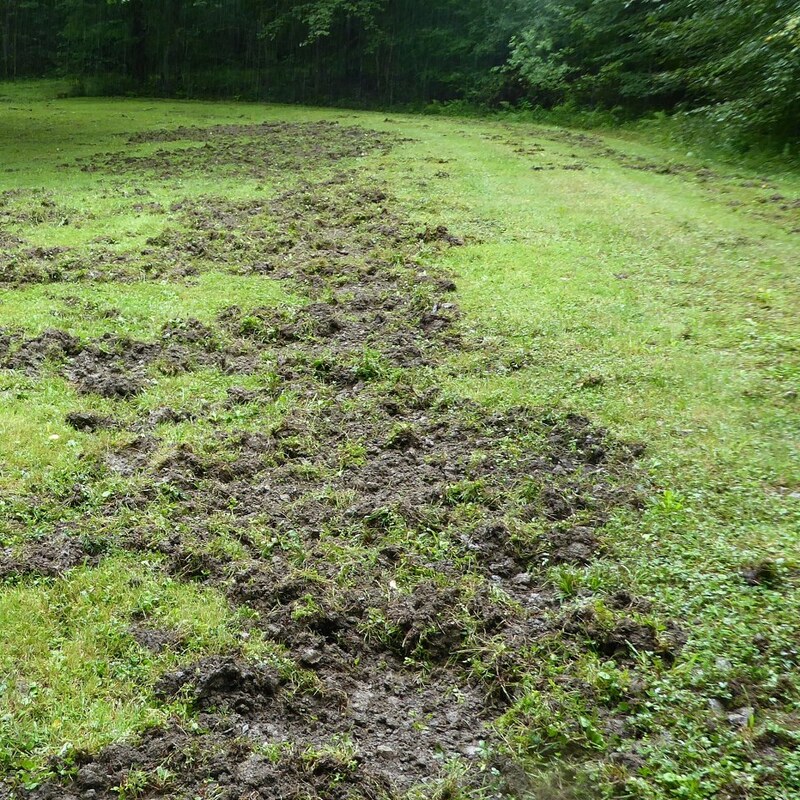 Not that boar are less dangerous – yikes! Sounds like an amazing adventure, and I hope the weather cleared for you the next day. Thankfully not as wild and dangerous as bears Traci! Yes, the weather cleared up thankfully. Next instalment coming soon! I would not think you a coward for chickening out of this! 30km is a long way even in good weather. The accommodation looks – hmm – bijou. Is that a free cat it comes with? There were three cats attached to the place. I’m slightly allergic to cats so didn’t welcome them inside, although they seemed accustomed to that privilege. Yes, bijou is a good description of it Anabel. What a great cabin, looks comfy! Ideal for one human being or two hobbits Anarette. Denzil, I think you need to come and visit. We don’t come across those venomous animals often. 🙂 And if one decides to come into our house, a quick whack with a shoe fixes that. Except if it was a snake. Mr ET would have to deal with that because I would have run a mile away. We have wild pigs here too and you wouldn’t want to run into one. Your walks are always interesting, but when you add wild boars and an eco hut, you hit a new record. 🙂 Glad you survived to walk another trail. Maybe you should have walked in swim trunks – though it was probably way too cold. But what an adventure you ended up having. Isn’t it always the unplanned event that makes something truly spectacular? 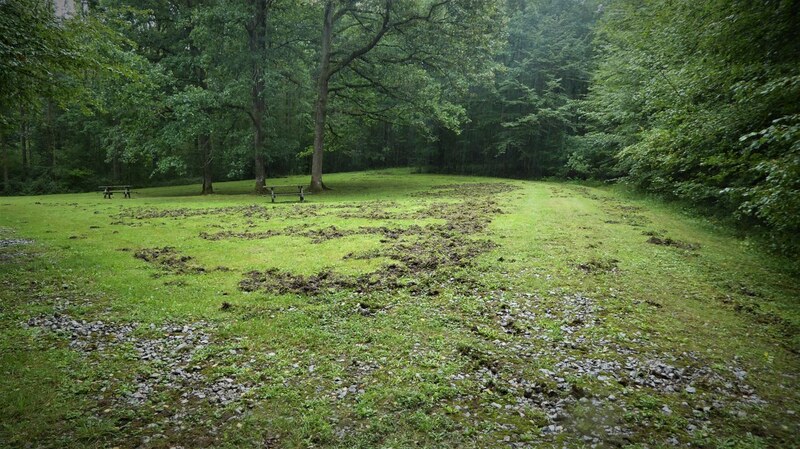 Boar mama and babies may have been out hunting for truffles – if truffles grown in Belgium. And at the end of that very wet walk, I bet your tiny eco cabin felt like luxury on a postage stamp. BTW, please send some of the rain to us – we need it here in Southern California! Rain has been duly dispatched Sharon; it might take a while to reach you though. I am glad you are in south California though and not Texas. Yes, it could have been truffles, which do grow here. 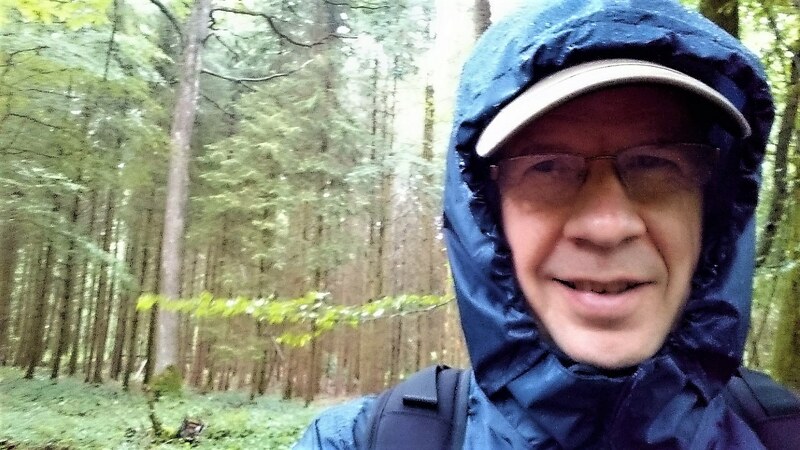 I really enjoyed your post about the adventures of walking in the wet through the Ardennes. Seeing the little boarlets would be adorable. 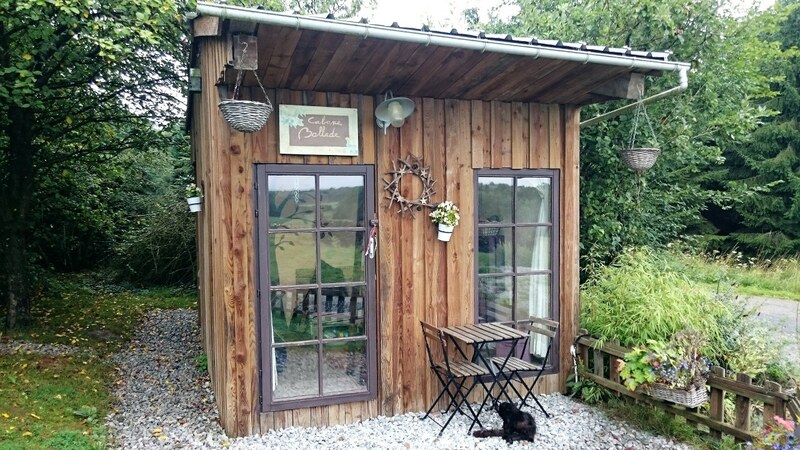 The little Eco cabin is a great idea just for a bed for the night and your host’s meal and packed lunch are a nice extra. I appreciated your touched of humour throughout too Denzil. Oh that brought a giggle, Denzil. Very impressed that you brave the rain and managed to avoid a serious Boar incident! Hi just wanted to apologise for not reading your reply until today. For some reason I am no longer getting notifications of replies to my comments on other blogs! My settings say I should get them so not sure what has happened . . .hoping it is a temporary fault. In meanwhile I am today popping round to see everyone I can remember I have left a comment with to alert them why I have not been continuing the conversation. No problem Becky: but annoying for you, nevertheless. Wow, they did a job plowing up that clearing! This is why they’re never invited to join country clubs. Even if unprovoked attacks are rare, I’ve always read that wild boars/feral pigs can be extremely dangerous. Texas now has a couple of million, and you do see mentions in the paper of human fatalities. And when you see they’ve got their litter with them, I’d be pretty worried! Glad your rainy day hike turned out well and certainly very memorable! I think when you have a such a huge population of these creatures, as they do in Texas, and yet serious incidents are still so rare, it’s a good indication that the animals will avoid people, whenever an avenue of retreat is available, just as your boar avoided you. But I would still look for a tree to climb! I forgot to say – – I love that shot with the droplets on the branches! The Ardennes seem so picturesque and I would love to go there hiking one day. When’s the best time of the year to go there? Hi Agness. There is no best time! Each season offers its own delights. Personally I prefer spring and autumn. 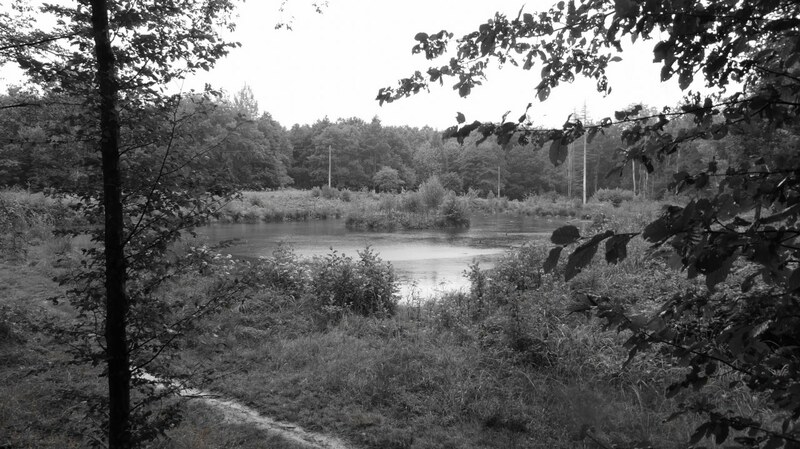 Summer can be too hot for walking (or too wet, as on this walk), and winter can be too cold and wet (although if it snows and is sunny it is beautiful). Whenever you go, it won’t be busy; it’s not a major tourist destination. Haha… laughing at your description of the outdoor shower in your wonderful overnight lodgings… 😀 and yes by the looks of you the rain had soaked you enough. Now I have to say I do like the odd trek around a Museum .. And like poking around in history more so when I am abroad than here.. While acknowledging the great value of museums, for me personally I always find a museum quite soporific. I think it’s the lengthy descriptions of objects. And the slow walking speed. I prefer to be walking at a good pace or standing still; nothing in between!